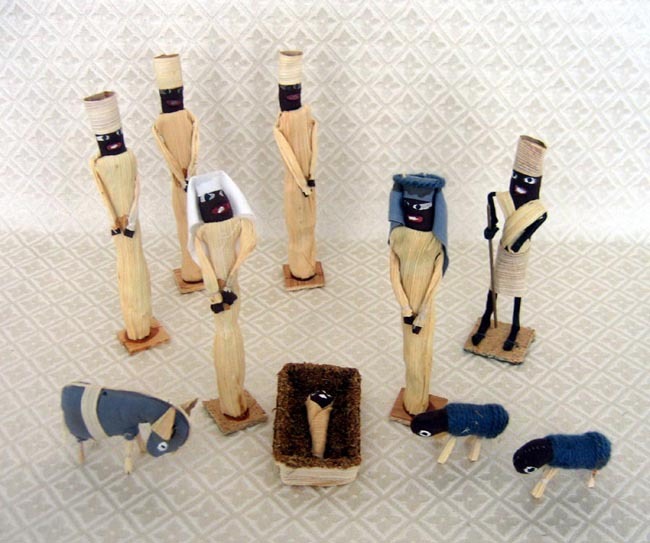 This 10-piece Nativity was made in Kenya. This unique group is all handcrafted of corn husks, cloth, and other natural materials by native women. The tallest figure is 7 inches.